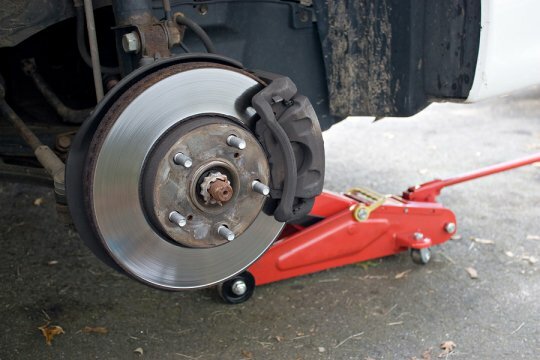 Auto Repair in Silver Spring – Murray's Auto Clinics What Are Brake Pads? When you bring your vehicle in for brake service, your mechanic may recommend that you replace your brake pads. As the point of contact between your brake’s hydraulic system and its disc, your brake pads are an essential component in your car’s braking system. As you step on the brake pedal, you will tell your brake pads to apply pressure to the spinning brake disc. This pressure will safely slow and stop your vehicle when it is in motion. Brake pads for average passenger vehicles are constructed from semi-metallic or organic materials. High performance vehicles, such as sports cars, rely on top of the line ceramic brake pads. If you have questions about how your car brakes work, contact Murray’s Auto Clinic by calling (240) 450-2478. From replacing work brake pads to repairing warped brake rotors, we offer all types of brake repair near White Oak . When you bring your car to our auto repair facility, you can rest assured that you are receiving top quality services. Both of our family owned & operated auto repair service centers have been performing major & minor services in Silver Spring, MD since 1982. What Are the Benefits of a Transmission Flush?